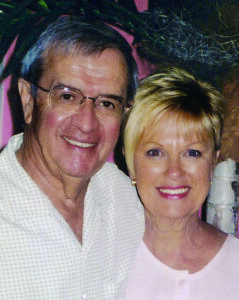 Joyce Anne and Raymond Vitelli moved to Pelican Bay in Naples two decades ago and immersed themselves in the life of the community. Joyce Anne passed in 2006; Raymond in 2016. But their legacy lives on in the Joyce Anne Vitelli Scholarship Fund, established by Raymond in 2010 to honor his wife and to benefit music majors in FGCU’s Bower School of Music & the Arts. In 2017, the university received a generous bequest from the Vitelli estate, significantly enhancing much-needed support for students wishing to pursue careers in music performance, music education, music therapy or music composition. Music was in Joyce Anne’s blood. She attended Syracuse University on a violin scholarship, earned her master’s in music and became a public-school music teacher in Newington, Conn. She had a passion for music and inspiring others to love it. While her early adulthood was focused on her work as a music teacher, she went on to volunteer for several music-focused organizations. After retiring to Naples, Joyce Anne continued to play music and sing and volunteered with Artis-Naples for several years. Raymond, too, enjoyed music, in particular, Beethoven, Mozart and Gershwin. Not surprisingly, he also loved patriotic songs, having served in the Navy during the Korean War. A highly educated man, he began his career as an administrator in the public school system in Ellington, Conn. His long and varied career included consulting for the U.S. Department of Justice; director of education and training for the Connecticut Department of Correction, and consultant for major corporations such as Hallmark. He eventually got into land development and retired to Florida. Roland Forti ’11, was the first recipient of the Vitelli Scholarship. He is the choral and orchestra conductor at Diplomat Middle School in Cape Coral. Roland Forti, a 2010 recipient of the Vitelli scholarship, double majored in Music Performance and Music Education; he graduated in 2011. He was the first Bower School student to receive the award, and his success is a testament to its impact. Forti is the choral and orchestra conductor at Diplomat Middle School in Cape Coral, where he also teaches guitar. In 2013, he received the Outstanding Young Teacher of the Year award from the American String Teachers Association in Florida. 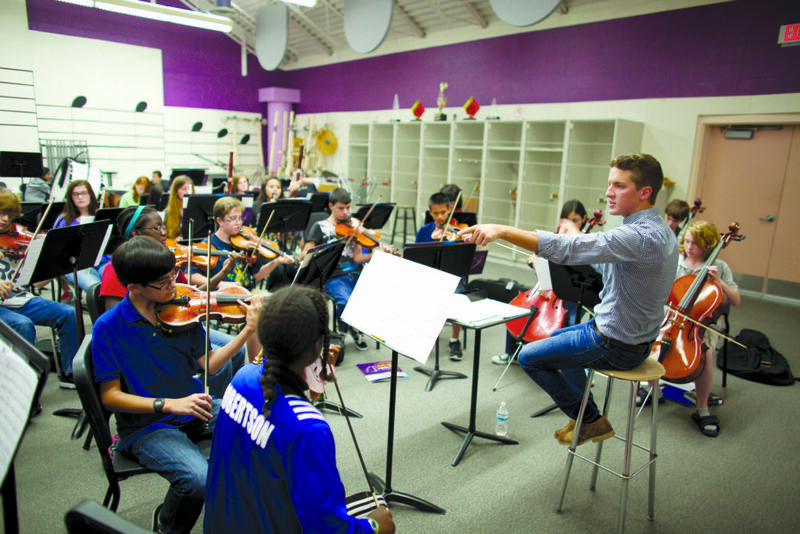 He also serves as conductor of the Concert Orchestra of the Southwest Florida Symphony Youth Orchestra. Please contact the FGCU Foundation at (239) 590-1067.